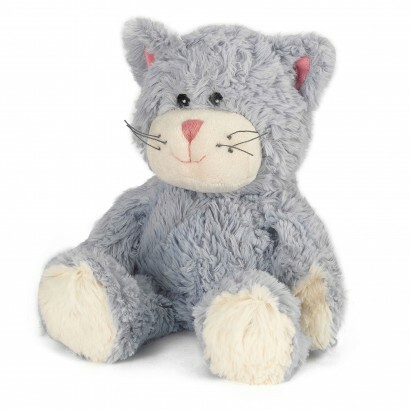 The puuurfect companion for cold winter nights, this adorable plush cat gives the warmest of hugs! 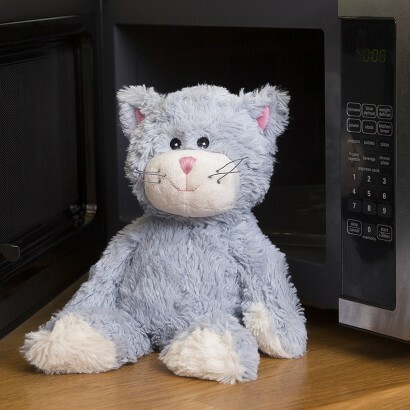 Filled with treated organic filling and dried French lavender, pop this soft and cuddly cat into the microwave for up to 90 seconds and it will emerge all warm and cosy, smelling of soothing lavender. 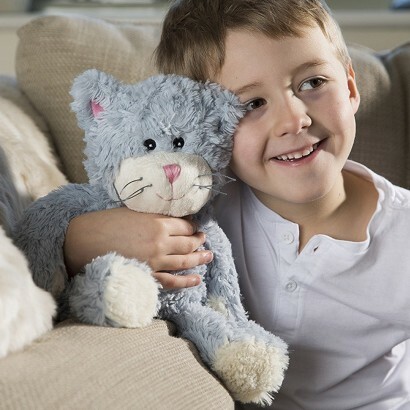 A great alternative to hot water bottles, this cosy cat is ideal for warming cuddles, soothing aches and pains and warming beds during the winter months, and because there's no hot water it's safer too.